Since people are asking about good rental deals, I'm going to start sending them out weekly. To avoid flooding the listings, I will only be sending it to 100 people. If you're interested, please fill out this form. 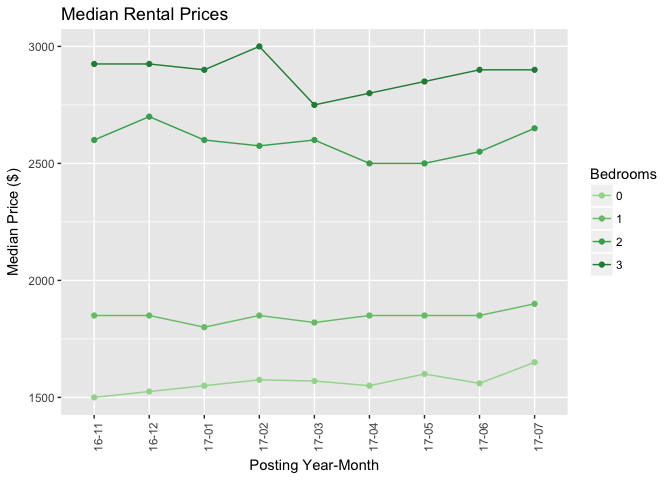 PadMapper's rental report about one bedrooms at $2090 has been getting attention lately. Single room suites breaking $2000 makes a good headline, but it was mostly scare mongering. Our numbers show that median rent for July was $1900, which is a modest increase of 2.7% over June. So while one bedroom rents did go up, it's not that bad. In my last report, I discussed the possibility of our central bank hiking interest rates. Well, it happened. On July 12th, Stephen Poloz pulled the trigger and rates are now at 0.75%. People are telling me that this is a return-to-normal. I wouldn't know though because, as a millennial, I've lived with emergency rates my entire adult life. One consequence of higher rates is that banks will loan less money to people buying real estate. Since prices are set by how much people can borrow, we could see the cost of buying come down. If prices do moderate, we will have to reconsider the rent-or-own decision. In July, listing volume across the city increased by 4.6%. Mt-Pleasant-W, (+8.7%), Marpole (4.7%), and Mt-Pleasant-E (+3.2%) led the charge in volume growth. 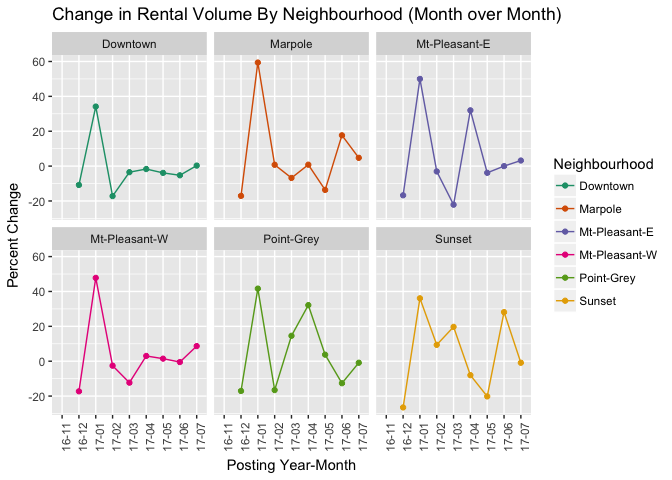 Rental volumes in other neighbhourhoods were pretty much unchanged from last month. 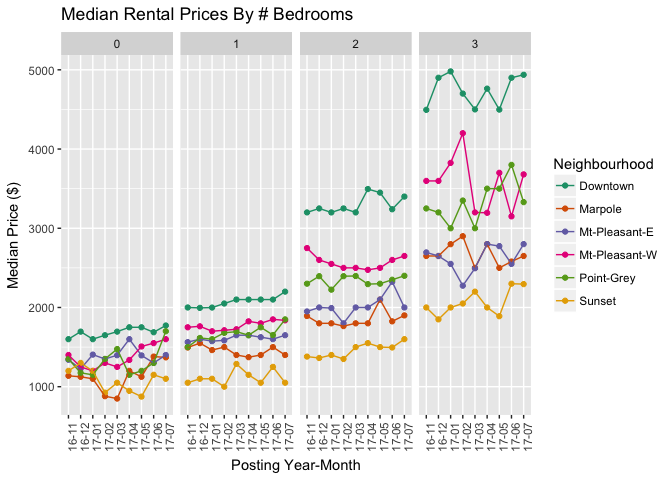 Median rental prices are up for almost all segments (month over month changes in parentheses). I don't know what the guys at StatsCan are doing, but they claim that inflation is sub 2%. This looks like inflation of housing costs to me. 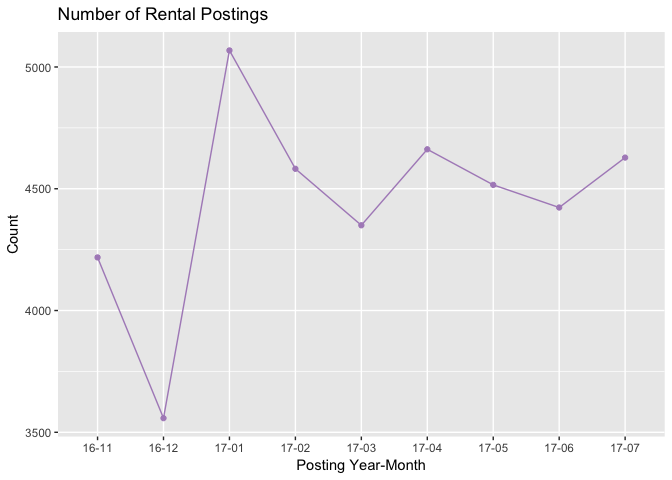 Want to stay up-to-date on Vancouver's rental market? Sign up for my newsletter in the navigation bar.